Good Choice Reading: Blog Tour: Sanctum by Sarah Fine - Guest post & Giveaway! 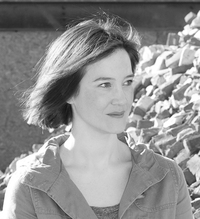 Blog Tour: Sanctum by Sarah Fine - Guest post & Giveaway! The premise of my debut novel, SANCTUM, involves a girl who risks everything to save her best friend’s soul. Over the course of the story, Lela’s loyalty and persistence are tested as she struggles to find Nadia despite all sorts of obstacles, both human and … not so human. That friendship is the driving force of the story. C.S. Lewis, one of my favorite writers, had a few things to say about friendship that capture both its lasting power and its distinctness from romantic love (which turns out to be one of the obstacles Lela comes up against as she makes her choices in Sanctum!). Lewis once defined friendship by saying that it is born the moment one person says to another, “What? You too? I thought I was the only one.” It’s a connection, simple and pure, between people who, even if they don’t have similar life stories or personalities, find a thread of experience to share. From that thread, new friends weave a common story, one they build together through a collection of hours, or dozens of cafeteria lunches, or billions of texts, or any number of moments that link them together. Some become intricate and complicated while others remain basic, but the thread from which they grow is the same. And it isn’t blood, obligation, infatuation, physical attraction … it’s just one person reaching for another, for no other reason than to share a moment. It’s fundamental to our experience as humans. In The Four Loves, Lewis said: “Lovers are always talking to one another about their love; Friends hardly ever about their Friendship. Lovers are normally face to face, absorbed in each other; Friends, side by side, absorbed in some common interest.” I think this is so true! Side by side … that’s what makes it powerful. Facing the world and what it brings with an ally. Not that romance doesn’t include that aspect; it can include friendship. But it’s that part of it, the outward-facing strength of it, that makes friendship life-altering and soul-sustaining when it’s at its best. When it shines, friendship is a pure kind of love—one person motivated to work toward the well-being of the other. That can mean brutal honesty. The willingness to cash in some emotional chips if it means telling a truth that can save the other’s life. It can mean patience, compassion. It takes work. And time. And trust. Vulnerability, too. Like any other kind of love, true friendship requires the willingness to allow another person to mean something to you, to open yourself up to hurt. But I think most of us would agree it’s a risk worth taking. Some of my favorite YA books that include a really cool focus on friendship include the Vampire Academy series by Richelle Mead, Hold Still by Nina LaCour, and Will Grayson, Will Grayson by John Green and David Levithan. But that’s only a few of many! How about you? What are your favorites? A week ago, seventeen-year-old Lela Santos's best friend, Nadia, killed herself. Today, thanks to a farewell ritual gone awry, Lela is standing in paradise, looking upon a vast gated city in the distance – hell. No one willingly walks through the Suicide Gates, into a place smothered in darkness and infested with depraved creatures. But Lela isn't just anyone – she's determined to save her best friend's soul, even if it means sacrificing her eternal afterlife. 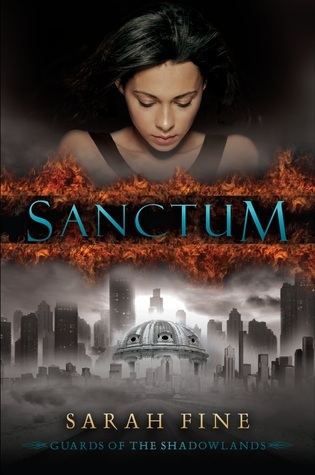 Win a copy of Sanctum by Sarah Fine. To enter leave a meaningful comment below and a way for us to contact you if you should win. I'm really interested in reading this story! Feels like Constantine movie-sque. I love books with romance, but I do enjoy books that show friendships. It is the friendships that get us through the rough moments in our lives. I'd love to win a copy! I love books with romance and it sounds like Sanctum will not disappoint. What I'm even more excited for is the strength of friendship found in this book. Nowadays so many YA titles focus on love, that friendship sometimes takes a back seat (if its present at all). I've been told by several friends now that Sanctum is a must read and I can't wait to check it out myself! Oops I forgot to leave my email! This book sounds amazing. The last review of this book I read praised it so much. The amount of loyalty that seems to be in this book is amazing. I can't wait to get a copy for myself. Reminds me of what Anthony Hopkins said in his role as C.S. Lewis: "We read to know we are not alone." Which is why books can be such important friends. I'm really looking forward to checking this one out, I think that the focus on friendship is so important and it is lacking in a lot of new YA literature. Thanks for the giveaway! I have to agree, Vampire Academy is one of my favorites too. Rose and Lyssa's friendship is great. I can't wait to read Sanctum!! Thanks for the chance to win! It sounds like a great idea. I mean a second chance to save your best friend, who wouldn't want that? Thanks for the review and synopsis. I'd love to win this copy! I love books with strong friendships. I read a book titled Smoke Jumpers that had a great friendship between the two guys. It was a romance also, but didn't have any of the usual love triangle going on. Can't remember who wrote it, but the story line has stuck in my mind a long time. I'm really happy that they focus on a friendship! It sounds like a really good read! I've been seeing this buzzed about the Internet and I rally want to read it! I would love to read this book! I find it sweet that she would risk her life to save her bestfriends soul and of course the romance ;) Thanks for the giveaway! Thanks for the giveaway. This is not one I have seen before. Sounds like an interesting read. I'd like to read it. Very nice post about friendship.